Manchester Airport is the UK’s third largest airport and the global gateway in the North. As one of the top 20 busiest airports in Europe, it currently serves more than 27.7 million passengers a year and handles more than 200,000 aircraft movements. 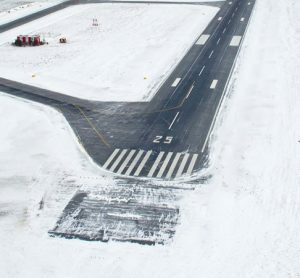 But how does Manchester Airport work in creating and implementing a winter operations plan to ensure the airport is fully prepared during the harsh winter months? 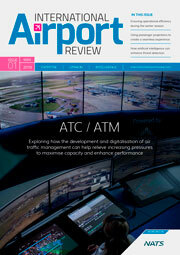 Jason Clegg, Airfield Operations Manager, explains. AS AIRFIELD Operations Manager, it’s my team’s job to ensure the safe and efficient running of the airfield. This includes creating a winter operations plan that means the airport is fully prepared for every eventuality that may occur during the winter months. With a dedicated team of over 150 staff , our winter preparations begin as early as April when we hold our first consultations with the Airline Operators Committee (AOC). Our Airfield Operations team host consultations throughout the year with airlines, airports, and the community. These consultations involve feedback sessions, presentations and workshops, and enabling others to feed in with opinions and ideas of past winter operations and how we can look to improve on the year ahead. From these sessions, and from experience of previous years, we have done a lot of work to integrate our service partners, such as aircraft de-icing companies, into the snow cell, which is effectively the control point for winter operations on the airfield. 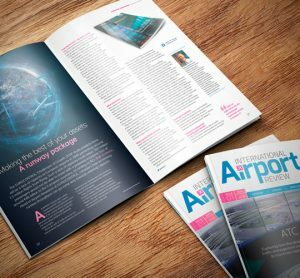 From last year there were some lessons learned in terms of the sequencing of aircraft for departure, but also further integration works to enable access to third party software systems to assist the process. 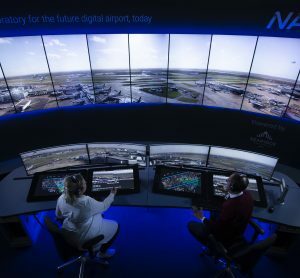 This work has enabled an effective control centre, directing the departure sequence to ensure timely departures for all flights from Manchester Airport. Our snow clearing equipment is fully serviceable and ready for action in September, and from there we begin training on the equipment for the airfield teams to ensure they are fully prepared for winter. Airfield Operations, Airfield Engineering, and the airport-based Fire Service are all trained in using snow equipment and driving vehicles. Several other airfield teams, such as security and handling agents are also trained to assist in the event of snow and ice. Managing winter operations is a big task that involves a huge joint effort between our teams at Manchester and all our service partners. As aforementioned, we begin consultation groups in April so that our winter operations plan can be in place well in advance of winter weather. Our airline partners are involved in our winter operations plan every step of the way so they’re fully aware of the plans we have in place, including the departure sequencing plan which will directly affect each airline’s flights from Manchester. The attitude of all our teams and partners throughout the year is collaborative and ‘everyone mucks in’, with winter being no exception. Our Airfield Security team assist in the event of snow by clearing walkways and ensuring the area is safe. Third parties on site, such as our handling agents, also work with the team to clear the necessary areas, and are always a huge help. Our aircraft de-icing partners are third parties who work closely with us throughout the winter season to ensure aircraft de-icing is completed quickly and efficiently so any impact to airport operations is minimal. When it comes to monitoring the weather, so we can be prepared for any adverse winter weather conditions, we use a tool provided by the Met Office called ‘Open Runway’. This allows us to have a detailed 24-hour look ahead at the weather on the airport site. It can sometimes feel fairly difficult to anticipate the weather across the whole site because it’s so vast. The runways are approximately two miles long so while one end of the two runways could be snowing, the other side is unaffected. To help us get the most accurate picture of the weather, we also have sensors on the airfield to tell us the current ground temperatures. This means we can compare current ground temperatures to forecasted temperatures, allowing us to assess the accuracy of the forecasts. Along with this, we can very quickly access cameras detailing weather across the country so we can easily see what’s in the surrounding areas and if snow may be heading our way. Historic data also helps us plan for expected weather, building a picture for us of what certain temperatures and weather conditions may have led to in previous years. The Met Office are always on hand 24/7 as well so we can request advice and figures from them. As a team we have systems in place in case snow and ice does arrive, including organising an on-call team who can be drafted in to assist the base shift teams. 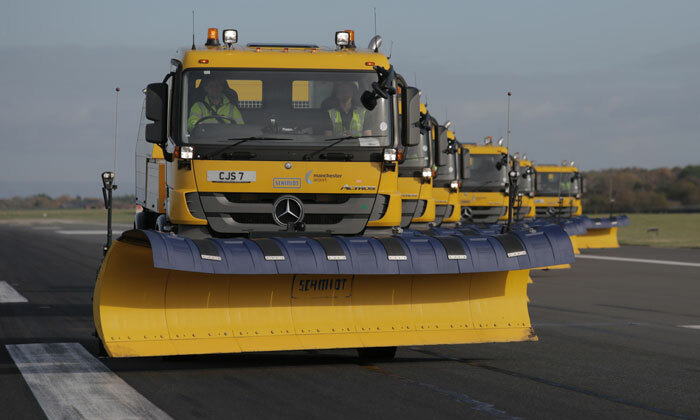 If snow is expected on the forecast we receive on Open Runway, we’ll make sure we have an on-call team assigned. We use a winter threat status, a system detailing levels 1-5 of how winter weather may affect us and the actions we need to take to determine how many members of the team we need to place on call and what equipment we need to prepare. All the airfield teams are trained on snow equipment and aware of winter weather protocols, but we also draft in an on-call Airfield Duty Manager (ADM) to manage the snow and ice clearing operation whilst the base ADM manages the rest of the airfield. Whilst snow or ice clearing is being done, we put our departure sequencing plan into action. Our airline partners are fully aware of this plan and it enables us to prioritise which aircraft need de-icing and prepping for departure first in the event of adverse winter weather. A prominent example of this for me was when our second A380 service of the day was on its way, but we still had the morning’s aircraft on the ground. We had to prioritise de-icing of the A380 that was on the ground, and have that taking to the skies before the second aircraft landed and needed the parking stand. It was fast paced, but the team worked incredibly hard together to make sure this was achieved. Due to our Winter Operations Plan, the equipment we have, and the hard work of the teams here at Manchester, the airfield can be up and running relatively quickly when winter weather strikes, but it’s the back log of flights that can take some time to rectify. With several hundred flights departing and arriving every day, even closing the airfield for a short time to deal with snow or ice will affect several flights and we need to work hard to minimise these delays. When we do have to close for snow, we can judge the average closure time and airlines can then decide whether to hold incoming aircraft, or divert them to another airport. Aircraft diverting to airports unaffected by snow does happen, and likewise we will take diverts from elsewhere here at Manchester. As a major UK aerodrome, we are able to handle multiple A380 diverts and maintain our own operation relatively easily. Last year we had 19 snow events, consisting of both standby’s and call outs to the on-call teams, but only two of these were considered significant. A snow event is considered significant if there is an effect on the operation, or we see prolonged operational disruption that occurs either from snow fall, or ice conditions. If there is minimal coverage and we do not really see an effect on the operation, naturally this is not considered significant. It is a huge team effort in these instances and it is common practice for the team to begin working on snow clearance and de-icing at 6am and not stop until lunchtime to ensure that the airfield keeps moving. We keep records of all call outs and snow events so that each year we can continue to improve our Winter Operations Plan. Planning for and dealing with winter weather is an industry-wide experience and a collaborative project between all areas of the aviation industry. We attend conferences throughout the year comprising of airlines, airports and the Met Office, and our attendance at a recent winter operations related industry conference enabled us to speak to other airports about where they are at with preparations and share our knowledge on winter operations from previous events. We also recently met with individual airlines and airports directly, including Heathrow’s airfield team, to discuss winter operations and standard practices at other aerodromes. The planning that goes into winter operations is extensive and begins very early in the year. From senior management to operational staff , everyone is involved and it’s a fantastic example of teamwork. We’re constantly learning and adapting based on previous years’ experiences and I always feel impressed with the hard work and collaborative team effort of everyone on the airfield, and within the aviation industry. At Manchester, the commitment and dedication of all staff involved in winter operations is second to none, and the ‘Team Manchester’ approach always means we deal with snow events in a professional, efficient manner. The safety of our customers is at the forefront of our thinking and I look forward to a busy winter period at Manchester Airport. JASON CLEGG is Airfield Operations Manager at Manchester Airport, responsible for Airfield Safety and Performance. Jason oversees the Airfield Operations Team and also manages relationships and performance of airside service partners. Joining MAG in 2007, Jason started out his career as a Terminal Supervisor at East Midlands Airport, before moving to Manchester as part of the team successfully acquiring Stansted Airport. With extensive experience in the Aviation Industry, Jason has also been Airfield Duty Manager, Capacity and Project Planner at Leeds Bradford Airport, Airfield Operations Manager at London City Airport, before returning to Manchester Airport in June 2016. 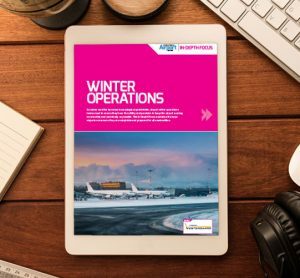 When it comes to Winter Operations, Jason is responsible for the development and publishing of the Winter Operations Plan for Manchester Airport. Jason leads consultations with airport service partners and airlines, pulling together final preparations for the Winter Season ahead.